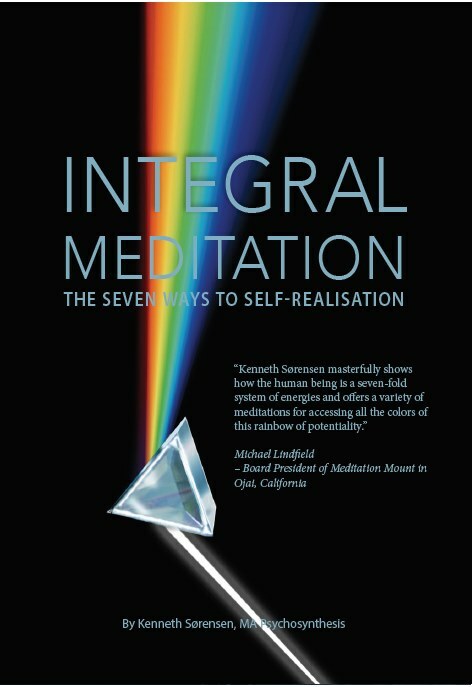 Assagioli analyses 14 different symbols related to transpersonal development and experience and endeavour in this way to throw light over the process of Self-Realization. A discussion of what is transpersonal—and therefore, in a certain sense supernormal—should be prefaced by a clarification of what is meant by “normal.” The current criterion of normality is generally considered to be represented by the average man who observes the social conventions of the environment in which he lives-in other words, one who is a conformist. But “normality” understood in this way is a conception that offers little satisfaction; it is static and exclusive. This normality is a “mediocrity” which either refuses to admit or condemns everything outside the conventionally accepted and thus considers it” abnormal” without taking into account the fact that many so-called abnormalities in reality represent the first steps or endeavours to rise above mediocrity. To be ‘normal’ is a splendid ideal for the unsuccessful, for all those who have not yet found an adaptation. But for people who have far more ability than the average, for whom it was never hard to gain successes and to accomplish their share of the world’s work—for them restriction to the normal signifies the bed of Procrustes, unbearable boredom, infernal sterility and hopelessness. As a consequence there are many people who become neurotic because they are only normal, as there are people who are neurotic because they cannot become normal. Another writer, Professor Gattegno of London University, has gone even further, stating that he regards the ordinary average man as a pre-human being and reserves the word “Man,” with a capital M, only for those who have transcended the common level or stage of development and are, in this respect, supernormal. In the past, the veneration of superior beings was widespread. The genius, the sage, the saint, the hero and the initiate were recognized as the vanguard of humanity, as the grand promise of what each man could become. These superior beings, while in no way disdaining ordinary humanity, sought to arouse in it the urge and the longing to transcend the “normality” and mediocrity in which it existed, and develop the transpersonal possibilities latent in every human being. In speaking of the transpersonal we are faced with a serious difficulty and that is the inadequacy of human language, particularly of modern language, which is rational and objective. All words designating psychological or spiritual conditions or realities are in origin metaphors or symbols based on concrete things. For instance, soul (anima) is derived from “anemos,” meaning wind; spirit from “spiritus,” meaning breath. But the difficulty is not insurmountable if we remember and keep constantly in mind the symbolic nature of every expression, be it verbal or other kinds. Symbols properly recognized and understood possess great value: they are “evocative” and induce direct intuitive understanding. Indeed, the fact that the words indicating higher realities have their roots in sensuous experience serves to emphasize the essential analogical correspondences between the external and the inner worlds. Yet symbols have their dangers. In fact, he who takes them literally and does not pass beyond the symbol to reality, but halts before it, does not arrive at the underlying truth. Moreover, symbols are unilateral. No symbol can express more than an aspect, a quality, a partial conception of a given reality. This qualification can, however, be obviated by the employment of different symbols to indicate the same truth. Thus the sum, the convergence, the synthesis of many points of view can provide a greater and more integrated understanding of the reality they symbolize. The external life must, therefore, be counterbalanced by an adequate inner life. We must turn back into ourselves. The individual must renounce his many and continuous escapist expedients and address himself to the discovery of what has recently been termed “inner space.” Recognition must be given to the existence not only of the external world, but of different inner worlds, and to the fact that it is possible, and indeed man’s duty, to know them, explore them and conquer them. Modern man has learned to control nature and exploit her energies, but generally is not aware that, in reality, all that he accomplishes externally has its origin in him, in his mind, and is the result of desires, drives, impulses, programmes and plans. These are psychological, that is, inner activities; every external action has its source in inner causes. First of all, therefore, these causes should be known, examined and regulated. Goethe, a genius who well knew how to play the part of the “normal man” when he wanted, said: “When we have done our part within, the exterior will unfold itself automatically.” Interiorization, besides giving balance and nervous and psychic health, is the way to experiences of a transpersonal character. Turning within ourselves, we discover our Centre, our true Being, the most intimate part of ourselves. Here belong the “peak experiences” so ably described by Maslow (1962). 2. The second group of symbols is composed of those associated with deepening, with the descent to the “ground” of our being. The exploration of the unconscious is symbolically regarded as the descent into the abysses of the human being, as the investigation of the “underworld of the psyche.” This symbol has come into use particularly since the development of psychoanalysis—although not discovered by it. Its origin is remote and, indeed, in antiquity it carried a deeper meaning. Let us recall the descent of Aeneas into Hades in Virgil’s Aeneid and Dante’s description of hell. 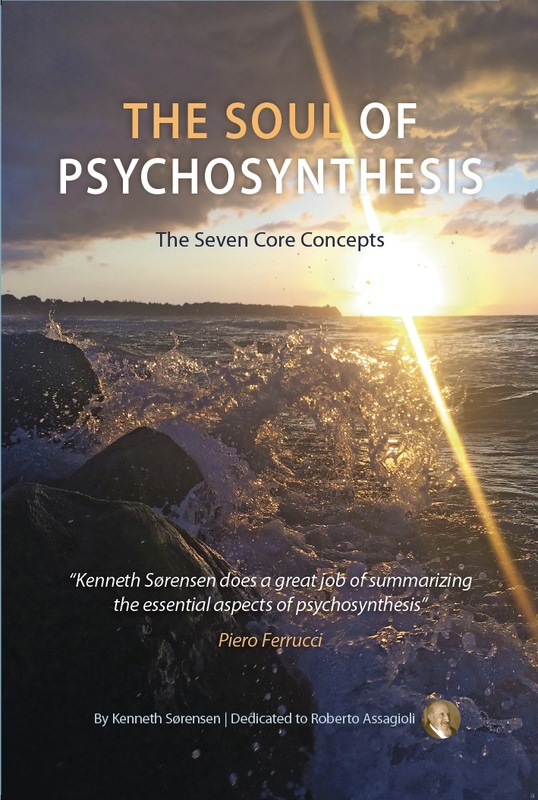 Furthermore, many mystics have spoken of the “abysses of the soul.” Beside psychoanalysis in the strict sense, there is the “depth psychology,” represented by Jung and others. Its fundamental principle is that man must courageously become aware of all the discreditable and obscure aspects of his being, those which have been called “the shadow,” and then incorporate them into his conscious personality. This recognition and this inclusion are acts of humility and, at the same time, of power. The man who is willing and courageous enough to recognize the lower sides of his personality, without allowing this knowledge to overwhelm him, achieves a true spiritual victory. But this carries its own dangers: The allegory of The Sorcerer’s Apprentice contains a warning of how easy it is to make the “waters” gush out, but how difficult then to control them and command them to retreat. In this connection the practice of Robert Desoille (1945), with his method of the “rêve éveille’,” is valuable. He makes use of the symbol of the descent, but puts greater emphasis on that of the ascent. Of the descent he observes that it is to be used prudently and “fractionatedly,” i.e., commencing by seeking to activate the higher realization and then, as the subject becomes stronger, cautiously exploring the zone of the lower unconscious. The aim is the elimination of the dissociation between the consciousness and the lower unconscious, which has been produced by repression and condemnation on the part of the conscious ego and his unwillingness to admit, from pride or fear, that there exists this aspect of the personality. To repress it serves no useful purpose; far from eradicating it, it exacerbates it, while it is man’s task to redeem it. But to accord it recognition does not mean surrendering oneself to its demands; it is preparing the way for its transformation. 3. The third group of symbols is of widespread use. It includes elevation, ascent, the conquest of “inner space” in an upward direction. There is a series of inner worlds, each of which has its specific characteristics, and its higher and lower levels. Thus the first, the world of emotions and feelings, exhibits a marked difference of level between blind passions and the loftiest sentiments. Then there is the world of the intelligence, of the mind; and here also are found different levels: those of the concrete, analytical mind and of higher, philosophical reason (nous). There are, moreover, the world of the imagination; the world of the intuition; the world of the will and—higher still—the ineffable world which can only be indicated with the designation, world of transcendence. The symbolism of elevation has been used in every age. Every religion had temples erected in high places, on mountain tops; and in antiquity many mountains were considered sacred. Moreover, there are symbolic legends, such as that of Titurel’s ascent of the mountain to build on its summit the Castle of the Holy Grail. The symbol of the sky, or heaven as a superior realm, the habitation of the gods and the goal of human aspiration, is universal. 4. The symbols of the fourth group are those of expansion, or broadening, of the consciousness. It is well to note that, although the different symbols may appear to be contradictory, in reality they are not so, but indeed are integrative. In the same way that the descent does not exclude ascent—it is in fact advisable, as we have said, to ascend first in order to be able to descend without danger—so the ability to expand the consciousness without losing oneself in its vastness, requires the taking up of a firm, stable position at the center of one’s being. Those two realizations complement and do not exclude each other. The psychiatrist, H. Urban, speaks of the “spectrum of consciousness,” and maintains that we are only conscious within a limited area corresponding to the band of the light spectrum between red and violet, while there are other psycho-spiritual areas corresponding to the infrared and ultra-violet bands. Our consciousness can be enlarged or broadened, to include increasingly larger zones of impressions and contents. This expansion must be conceived spherically, that is, in all directions, vertical as well as horizontal, that is from the individual to the group, to society, to the whole of humanity. But it is necessary to maintain one’s self-awareness within the whole and not “lose” oneself therein. Another series of symbols of magnitude and breadth is based on the Sanscrit root “mah,” which means “great,” and from which are derived “magister” (master), magician, mahatma, etc. One generally speaks of “great” men in distinction to “little,” ordinary men. The expansion that leads to the inclusion of other beings in oneself is associated with the symbolism of love (see Group 10). Time provides another direction in which expansion takes place. Man generally lives in the present, absorbed in the interest of the moment; but he can expand his consciousness to include ever-wider cycles, a temporal continuum of varying dimensions. This leads to comprehension that the meaning and value of a human life do not lie in any one isolated moment, but in a process which unfolds, at the very least, between physical birth and death. This expansion in time, this inclusion of ever-widening cycles, serves as a preparation for the passage—one might say the leap—from time to the eternal, understood not as unlimited duration, but as an extra-temporal transcendental dimension, in which our inner center, the Self, exists and persists above the flow of the temporal current. 5. We come now to the fifth group of symbols, which are among the most suggestive and effective: The symbols of awakening. The state of consciousness of the average man can be termed a dream state in a world of illusions: The illusion of the “reality” of the external world as our senses perceive it, and the many illusions created by the imagination, the emotions and mental concepts. As far as the external world is concerned, modern physics has demonstrated that what appears to our senses as concrete, stable and inert is, on the contrary, constituted of congeries of infinitesimal elements in extremely rapid motion, of energy charges animated by a powerful dynamism. Thus matter, as our senses perceive it and as it was conceived by materialistic philosophy, does not exist. Modern science has thus arrived at the fundamental Indian conception, according to which all that “appears” is maya, illusion. Then there are the emotional and mental illusions, which concern us more closely, conditioning our life and continuously producing errors of evaluation and conduct, and sufferings of every kind. In this field also, modern psychological science has reached the same conclusions as the ancient wisdom, that is, that man sees every thing and every being through a thick veil of colouring and distortions deriving from his emotional reactions, the effect of past psychic traumas, external influences, etc. The effects of this are mental illusions which lead him to believe that he is thinking objectively, while instead he is being affected by what Bacon called “idols,” by preconceptions and by collective influences. All this creates a veritable dream state from which one can and should wake up. This awakening demands first of all an act of courage and the confrontation with reality. 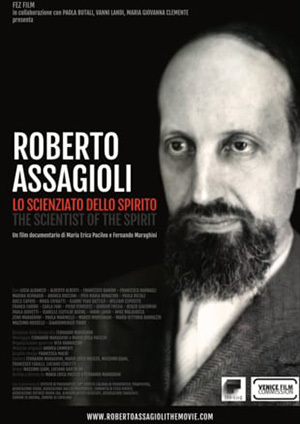 We have to reach the recognition of our psychological multiplicity, of the various sub- personalities co-existing within us, to the extent that every human being can be said to be a Pirandello character. The first step consists, therefore, in becoming aware of all that exists and stirs restlessly within us; the second, in discovering what we really are: a center of self-awareness, the Self, the spectator of the human tragi-comedy. two states might be expressed in the form of an equation: Sleep is to ordinary waking state as this state is to transpersonal wakefulness. 6. In the sixth group of symbols are found those of light, of illumination . Just as ordinary waking marks the passage from darkness of the night to the light of the sun, so the awakening transpersonal awareness marks the transition that has been designated “illumination.” The first step—which corresponds to the first stage of the waking state—is a simple (but not on that account easy) ability to see clearly within ourselves; the second, of illumination, is the solution of problems hitherto appearing insoluble, and this by means of the specific instrument of inner vision, the intuition . Thus intuitive awareness comes to replace intellectual, logical and rational consciousness, or better, to integrate and transcend it. The intuition in fact leads to identification with what is seen and contemplated, and to the recognition of the intrinic unity between object and subject. There is a further degree or kind of illumination: it is the perception of the light immanent in the human soul and in the whole of creation. We have numerous evidences of this; many mystics have described their inner illuminations. In Buddhism, and particularly in Zen, special disciplines aim at producing a sudden illumination with its accompanying revelation of reality. 7. The seventh group—the symbols of fire—is one of the most comprehensive and at the same time most essential. The worship and veneration of fire are found in all religions. 8. The symbols of the eighth group are among the most closely associated with human experience, and are indicated by the words evolution and development. In a certain sense these words might be said to be synonymous. Development signifies release from encumbrances and denotes the passage from the potential to the actual. The two principal symbols of development are the seed and the flower: the seed which enfolds within itself the potentiality of the tree; the flower which opens from the closed bud and is the precursor of the fruit. Familiarity has bred in us indifference to the miracle by which the acorn develops into the oak, and the child into the adult. Where, in reality, is the tree in the seed, where the oak in the acorn? Aristotle speaks of “entelechy,” others of “model” and “archetype.” An immanent Intelligence must be admitted which directs the various phases of the development of the seed from the tree, from the cell or germinal cells to the complete organism. The other symbol, widely used since ancient times, is the flower: the Golden Flower (in China), the lotus (in India) and the rose (in Persia and Europe). The symbolism of the lotus is closely associated with what happens in man. The lotus has its roots in the earth, its stalk grows in the water, and its flower opens in the air in response to the action of the rays of the sun. It is an apt symbol of man, who has a physical body as a terrestrial base and develops psychologically in the sphere of the emotions (“water”) and of the mind (“air”). The realization of the Self, the inner center, corresponds to the opening of the flower brought about by the vivifying action of the sun, the symbol of the spirit. Some Eastern methods of development and meditation are based on this symbolism of the lotus. The same applies to a great extent to the rose, whose symbolism originated in Persia, where the mystic poets speak of the rose in this sense. In Europe we find Le Roman de la Rose, Dante’s “mystic rose,” and certain more or less secret movements, in particular those of the Rosicrucians. I have used the symbol of the rose in a special exercise which has proved very effective in stimulating and promoting the opening, or blossoming, of the transpersonal consciousness. Development of the. child into the man takes place actively within, and the child pursues this task joyously when the adult does not interfere by dispensing the treasures of his wisdom. The child is the human seed: as the oak tree subsists in the acorn, so the adult subsists in embryo in the child. We may recall that Plutarch had already said: “Man is not a vessel to be filled, but a fire to kindle.” To educate, in fact, should be-as its etymology indicates-(to) “e-ducere,” to draw forth (from within), that is, to develop. Of the second phase of man’s development, it may be said to be truly representative of the passage to a transpersonal stage. 9. The ninth series of symbols includes those of strengthening, or intensification. Transpersonal experiences may be regarded as a reinforcement or intensification of the life consciousness, a tension or psychological “voltage” higher than that in which the average man lives. Herman Keyserling (1938) speaks of a “dimension of intensity,” associating the symbolism of intensification with that of proceeding along a different dimension which he terms “vertical” (the other dimension being horizontal). In using this term “vertical dimension,” he refers to a “verticality” that rises from the world of becoming, or flux, towards the world of being and of transcendence. He applies this symbol also to time, a “vertical passing” from time to the extra-temporal eternal. Strengthening also has two stages or degrees. The first consists in the reinforcement of all man’s latent, underdeveloped energies and functions. In his essay, The Energies of Men, William James draws attention to a number of energy-potentialities existing in man, waiting to be brought into manifestation when he wills to discover, activate and use them. 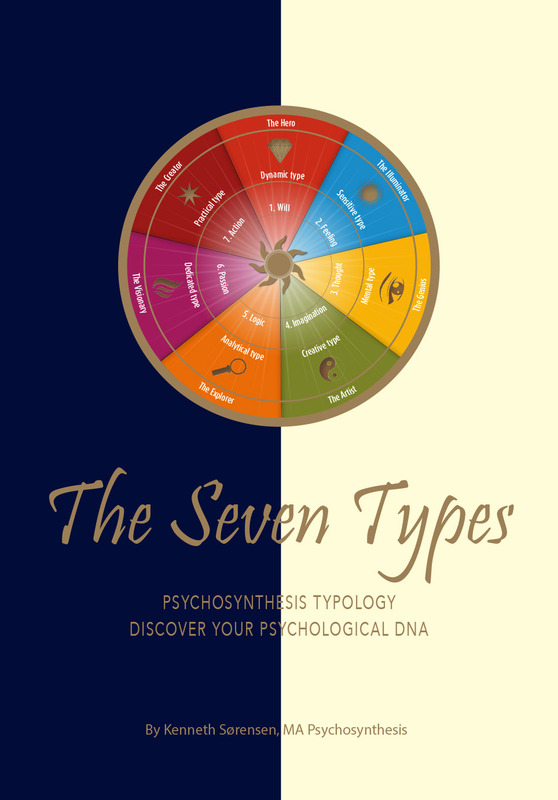 transpersonal level referred to above, in which also the manifestation of various para- psycho. logical powers may occur. At times. such powers, when associated with the higher ethical and spiritual endowments, have been ascribed to illuminates, to the “awakened,” to “initiates” from Moses to Pythagoras, from Buddha to Christ and various mystics. Some have employed them deliberately and consciously; in others they manifested spontaneously, even against the will of the subject. One might say that these powers are sometimes a consequence, a by-product as it were, of transpersonal experiences. 10. The symbols of the tenth group are those of love. Human love itself is, in a certain respect, a desire and an attempt-more or less conscious—to “come out” of oneself, to transcend the limits of separate existence and enter into communion, to fuse oneself, with another being, with a “thou.” The devout and mystics of every age have spoken of their experience of communion with Cod or with Higher Beings, employing the symbolism of human love. One may recall the Song of Songs in the Bible and the expressions—sometimes of a surprising audacity—used by St. Catherine of Siena and St. John of the Cross. 11. The symbols of the eleventh group include those of the Way, the Path, and of pilgrimage. These two have been, and are, universally used. The religious employ the term “mystic way.” The symbol of “pilgrimage” has often been, and still is, used in a physical and external manner in connection with the pilgrimage to various sacred places. Dante’s passing through the Inferno, Purgatory and Paradise has been called a pilgrimage. Bunyan’s Pilgrim’s Progress will also be recalled in this connection. 12. We now come to the twelfth group, the symbols of transmutation. The body and psyche can be transmuted by means of a regenerative transformation. This produces an organic and harmonious unification of all man’s aspects, a “bio-psychosynthesis.” A “psycho-spiritual alchemy” is achieved. When one speaks of alchemy, one thinks of the attempts to make gold (something which used to appear incredible, but now seems less fantastic since man has learned to transform one element into another by the manipulation of atoms). But in reality the Arabian and medieval alchemical books often veiled in chemical terms the psycho-spiritual alchemy, that is, the transmutation of man. This has been recognized by some modern writers, notably Jung (1940), who devoted much time during the last years of his life to the study of, and writing about, alchemical symbolism. In his book Psychology and Religion, he discusses it extensively and relates how he discovered this symbolism in the dreams of his patients and in the drawings of both the ill and the healthy. Transmutation and transformation occur in two different ways, in two opposite directions, but ways which are not in opposition; they alternate and complete each other. The first is transmutation through sublimation; the second is the transformation produced by the descent, the irruption of superconscious energies into the personality, including the body. Their combined action brings about a complete bio-psychosynthesis. 14. The symbols of the fourteenth group are those of liberation and have a relationship with those of development. They mean the elimination of the encumbrances, a process of liberation from our complexes, our illusions and from identification with the various “parts” we play in life, the “masks” we assume, with our “idols,” etc. It is a release in the etymological sense of the term, a freeing and activation of latent potentialities. In our times, during the second World War, Franklin D. Roosevelt proclaimed the Four Great Freedoms: Freedom of expression; Religious Freedom; Freedom from need; Freedom from fear. The last, the freedom from fear is fundamental, since only he who is free from fear is truly free. Here, however, we find ourselves confronted by a paradox. In contrast with his spontaneous yearning for freedom, man fears it at the same time. This can be explained by the fact that freedom implies commitment, self control, courage, and other qualities. It has been justly said: “The price of freedom is eternal vigilance.” Freedom must be won again and safeguarded every day, one might say every moment. Man, even if unaware of this, but feeling it intuitively, fears this “burden of freedom” and, in consequence, recoils from it. This fear is one of the motives of the wish to remain at the pre-adult level, or even to regress into infancy and take refuge therein. This is a general tendency, and if we look with sincerity within ourselves, we can find a number of infantile and regressive elements. The nostalgically minded of all ages, who lament “the good old times” are examples of this. But it is a useless and dangerous tendency—useless, because every attempt to arrest the irresistible forward course of life in us and around us is doomed to failure; and dangerous, because it is apt to create serious neuro-psychic conflicts and disturbances. All these symbols can be utilized in psychological exercises for fostering the corresponding transpersonal experiences and to bring about an increasing synthesis between the personal and the transpersonal aspects or levels, the manifestation of the Whole Man. Let us imagine looking at a rose. Let us visualize its stem and leaves with a bud closed. This appears green because the sepals are closed, but at the very top a rose-colored point can be seen. Let us visualize this vividly, holding the image in the center of our consciousness … Now begins a slow movement; the sepals start to separate little by little, turning their points outward and revealing the rose-hued petals, which are still closed…The sepals continue to open…We can see the whole bud of a delicate rose color…The petals also slowly separate…until a perfect fully-opened rose is seen. At this stage let us try to smell the perfume of the rose, inhaling its characteristic well known scent… so delicate, sweet, pleasant… Let us smell it with delight. Let us identify ourselves with the rose itself; let us “introject” it into ourselves…Symbolically, we are a flower, a rose…The same life that animates the Universe and has created the miracle of the rose is producing in us a like, even greater miracle…the awakening and development of our spiritual being and that which radiates from it. Through this exercise, we can effectively foster the inner flowering. Hobbs, Dorman & Co., 1965. DESOILLE, R. Le Réve Eveillé en Psychothérapie. Paris: Presses Universitaires, 1945. The Directed Daydream. (trans. by F. Haronian, Ph.D.) New York: Psychosynthesis Research Foundation, 1966. JUNG, C. C. Modern Man in Search of a Soul. New York: Harcourt Brace, 1933. Psychologie und Religion. Zurich & Leipzig: Rascher Verlag, 1940. KEYSERLING, H. From Suffering to Fulfillment. Plymouth: Brandon & Son, 1938. MASLOW, A. H. Toward a Psychology of Being. Princeton, N. J.: Van Nostrand, 1962. The subject of symbolism is vast and manifold, and requires a corresponding extensive treatment and discussion. The following notes aim only at indicating some fields for further study, research and experimentation. stop at its appearance, at its form, then it veils and hides. If we try to understand its meaning and succeed in grasping what it signifies, then it is a means of revelation. This multiplicity, which corresponds to the various levels of reality, has been well described by Dante in his Convito. According to him, symbols have or can have four meanings: Literal, Allegorical, Moral and Mystical. It is important to keep clearly in mind this plurality of meanings of symbols, in order to avoid errors in their interpretation. An historical example of such a misinterpretation is that of St. Francis. After his conversion one day, while he was praying, he heard an inner voice, which he thought was the voice of God, saying: “Go and restore my church.” There was in the neighbourhood a small church half-ruined. St. Francis thought he had been ordered to rebuild it, and he set himself to work. But later he realized that the inner command was to work at the restoration of the Catholic Church, which in his times was decaying, and all his subsequent activity was courageously directed towards that great mission. These symbols are not only indicative, but if used as subjects of meditation can be helpful for inducing or fostering the corresponding inner experiences and realization. Since I, the servant, with preliminary discourse in the preceding treatise, have with all due care prepared my bread, the time now summons, and requires my ship to leave the port: wherefore, having trimmed the mizen-mast of reason to the wind of my desire, I enter the ocean with the hope of an easy voyage, and a healthful happy haven to be reached at the end of my supper. But in order that my food may be more profitable, before the first dish comes on the table I wish to show how it ought to be eaten. I say then as is narrated in the first chapter, that this exposition must be Literal and Allegorical; and to make this explicit one should know that it is possible to understand a book in four different ways, and that it ought to be explained chiefly in this manner. The one is termed Literal, and this is that which does not extend beyond the text itself, such as is the fit narration of that thing whereof you are discoursing, an appropriate example of which is the third Song, which discourses of Nobility. Another is termed Allegorical, and it is that which is concealed under the veil of fables, and is a Truth concealed under a beautiful Untruth; as when Ovid says that Orpheus with his lute made the wild beasts tame, and made the trees and the stones to follow him, which signifies that the wise man with the instrument of his voice makes cruel hearts gentle and humble, and makes those follow his will who have not the living force of knowledge and of art. who, having not the reasoning life of any knowledge whatever, are as the stones. And in order that this hidden thing should be discovered by the wise, it will be demonstrated in the last Treatise. Verily the theologians take this meaning otherwise than do the poets: but, because my intention here is to follow the way of the poets, I shall take the Allegorical sense according as it is used by the poets. The third sense is termed Moral; and this is that which the readers ought intently to search for in books, for their own advantage and for that of their descendants; as one can espy in the Gospel, when Christ ascended the Mount for the Transfiguration, that, of the twelve Apostles, He took with Him only three. From which one can understand in the Moral sense that in the most secret things we ought to have but little company. Judea is made holy and free. That this happens to be true according to the letter is evident. Not less true is that which it means spiritually, that in the Soul’s liberation from Sin (or in the exodus of the Soul from Sin) it is made holy and free in its powers. But in demonstrating these, the Literal must always go first, as that in whose sense the others are included, and without which it would be impossible and irrational to understand the others. Especially is it impossible in the Allegorical, because, in each thing which has a within and a without, it is impossible to come to the within if you do not first come to the without. Wherefore, since in books the Literal meaning is always external, it is impossible to reach the others, especially the Allegorical, without first coming to the Literal. Again, it is impossible, because in each thing, natural and artificial, it is impossible to proceed to the form without having first laid down the matter upon which the form should be. Thus, it is impossible for the form of the gold to come, if the matter, that is, its subject, is not first laid down and prepared; or for the form of the ark to come, if the material, that is, the wood, be not first laid down and prepared. Therefore, since the Literal meaning is always the subject and the matter of the others, especially the Allegorical, it is impossible to come first to the meaning of the others before coming to it. Again, it is impossible, because in each thing, natural and artificial, it is impossible to proceed unless the foundation be first laid, as in the house, so also in the mind. Therefore, since demonstration must be the building up of Knowledge, and Literal demonstration must be the foundation of the other methods of interpreting, especially of the Allegorical, it is impossible to come first to the others before coming to that. Again, if it were possible that it could be so ordered, it would be irrational, that is, out of order; and, therefore, one would proceed with much fatigue and with much error. Hence, as the Philosopher says in the first book of the Physics, Nature desires that we proceed in due order in our search for knowledge, that is, by proceeding from that which we know well to that which we know not so well; so I say that Nature desires it, inasmuch as this way to knowledge is innate in us; and therefore, if the other meanings, apart from the Literal, are less understood -which they are, as evidently appears—it would be irrational to demonstrate them if the Literal had not first been demonstrated. These include air, earth, fire, water; sky, stars, sun, moon. Among the chief nature symbols are the mountain (with its correlated technique of “ascent”), sea, stream, river, lake, pond, wind, cloud, rain, fogs; cave, tree, flames and fire, wheat, seed, flowers (rose, lotus, sunflower, etc. ); jewel, diamond and various symbols related to light (including sunrise, sunset, rays of light, etc.) and darkness (including shadow), etc. Lion, tiger, snake, bear, wolf, bull, goat, deer, fish, worm-chrysalis-butterfly (as symbols of transformation); birds (eagle, dove, etc. ); domestic animals (horse, elephant, dog, cat, etc. ); and the egg. a. General human symbols: Father, mother, grandfather, grandmother, son, daughter, sister, brother, child, wise old man, magician, king, queen, prince, princess, knight, teacher; the human heart, the human hand, the eye. Birth, growth, death and resurrection. b. Modern human symbols: These include the mountain-climber, the explorer (including the space explorer), the pioneer, the scientific investigator (physicist, chemist, etc. ), the automobile-driver, the aviator, the radio or TV technician, the electronics engineer, etc. Bridge, channel, reservoir, tunnel, flag, fountain, lighthouse, candle, road, path, wall, door, house, castle, stairway, ladder, mirror, box, sword, etc. a. Universal and Western Religious Symbols: Cod, the Christ, the Holy Mother, angels, the devil, saints or holy men, priest, monk, nun, resurrection, hell, purgatory, heaven, the Grail, temple, church, chapel, the cross. b. Eastern Symbols: Brahman, Vishnu, Shiva, the Buddha, etc. sense), Venus, Diana (symbol of the woman who refuses her feminity), Orpheus, Dinysus, Hercules, Vulcan, Pluto, Saturn, Mars, Mercury, Jupiter, Wotan, Siegfried, Brunhilde, Valhalla, the Nibelungen, the Valkyries, etc. a. Numbers: in the Pythagorean sense of psychological significance-for instance, one symbolizing unity; two-polarity; three -interplay, etc. Two-dimensional: Dot, circle, cross (various forms, such as the mathematical plus sign, the long-limbed Christian cross, the St. Andrews Cross or multiplication sign), the equilateral triangle, the square, the diamond, the star (five pointed, six-pointed, etc.). Three-dimensional: the sphere, cone, cube; the ascending spiral, etc. These emerge during treatment or spontaneously in dreams, daydreams, etc.